Innovation requires passion. 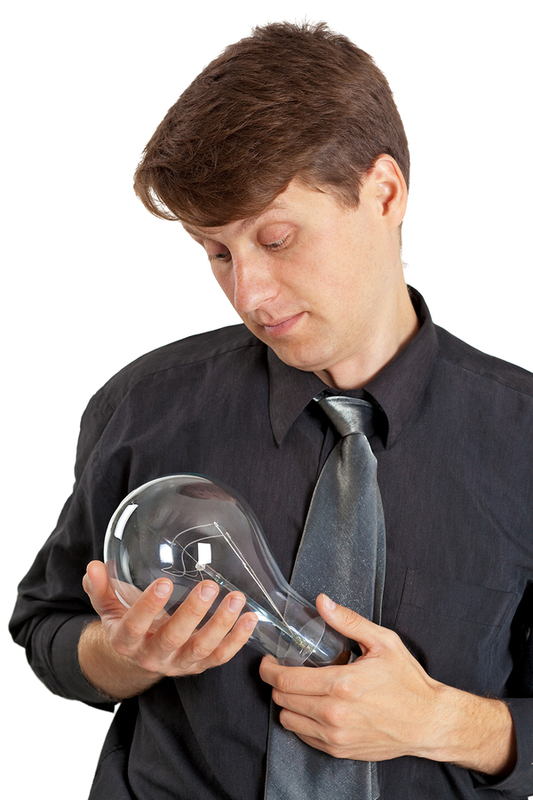 It takes a lot of energy to develop an idea and implement it successfully in an organization. Fortunately, innovators have passion in abundance. Innovation also requires collaboration. Very few ideas can be successfully implemented without the cooperation and buy-in of others. Unfortunately, innovators often struggle in this area–especially if they fall in love with their idea and become defensive about feedback. In an upcoming Leadership Livecast on Un-Leaderlike Moments I share a story about the way this sneaks up on unsuspecting innovators. See if this has ever happened to you. You come up with an idea—it’s one of your best ideas—and you can’t wait to share it with the other people on your team. So you do. And you know what? They’re just as excited about it as you are. You decide to go in together and make this idea a reality. But soon after, something you didn’t plan on starts to occur. Your teammates like your original concept, but they have some thoughts for making it better. They begin to share their thinking and give you some feedback. How do you react? If you are an experienced innovator, you take some time to really listen to what your team is sharing with you. You explore what they are saying, you ask for details, and you draw out the essence of their ideas. You realize that no matter how good your original idea may be, it’s always smart to treat feedback as a gift and to listen closely with the intention of being influenced. If you are a relatively new innovator—and you are really attached to your idea—you may see feedback from your team in a completely different light. Ego can often get in the way and now you become defensive when others suggest changes. You dismiss their feedback as uninformed, uninspired, or just plain limiting. Instead of listening with the intent of being influenced, you listen just long enough to respond and remind everyone why the team should stay on course with your original concept. You become so focused on leading change that you don’t notice the energy, enthusiasm and participation of team members falling off as you march to the finish line. It’s not until you get there and turn around for a group high-five that you see their weary exasperation with your leadership style. They congratulate you on your project. Create space for other people to contribute. Take advantage of everything that people bring to a team. Utilize their head and heart as well as their hands. Listen to feedback. Explore and acknowledge what people are suggesting. Listen in a special way—with the intent of being influenced. True innovation requires passion and collaboration. Create some space for others. It will make your ideas stronger, give you a better chance for success, and create needed buy-in along the way. PS: You can learn more about the 40 different thought leaders presenting in the October 10 Un-Leaderlike Moments Livecast here. It’s a free online event hosted by Ken Blanchard. Great article here and thanks for raising this issue. So glad others are taking up this key to building past the broken communities we’ve slipped into. We have yet to jumpstart innovative ideas that moves brilliant ideas past the sluggishness of status quo stagnation. I see a process such as MINDGUIDING as one way to ensure that we explore the unlikely to discover the briliant. I’d like to see a conference of innovators who come together to design a process for moving more ideas past corporate ruts. You? What I really like about this article are two things…passion and collaboration. Passion is what fires you up and makes you want to always push through. It is the birthplace of ideas and innovation. In todays environment, collaboration is a major part of how you round the bases instead of ground out to first base. It is teamwork. It is building the framework of success. Thanks for this great post! Thanks for your comments Martin–and thanks for highlighting the passion and collaboration aspects of the post. You reminded me that while many people still believe in the “single inventor toiling alone” vision of innovation, the reality is that most new ideas and products are the result of groups of people working together effectively.